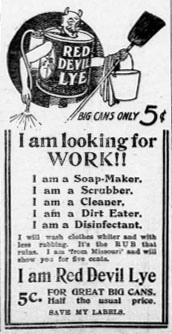 Lye soap is just as handy today as it was in the past. The lack of exotic oils and perfumes make it excellent for people with sensitive skin, and it’s a fun project. 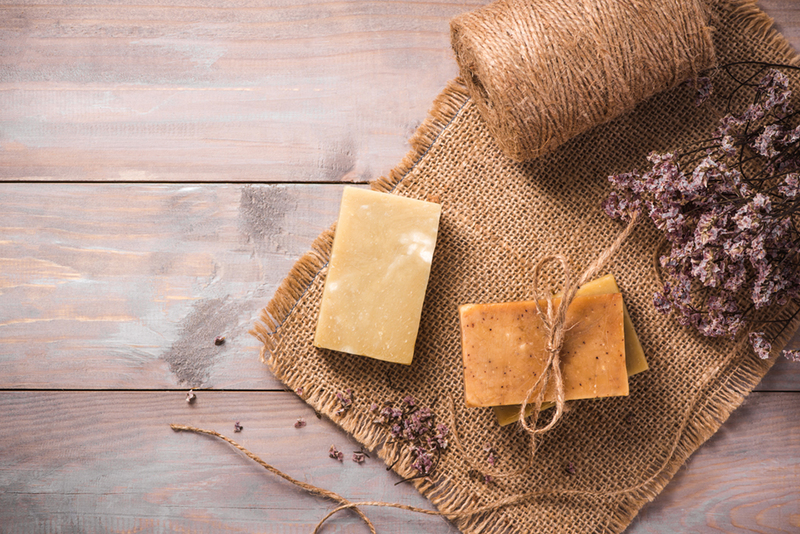 This recipe is for a simple version, but there are so many wonderful things you can add to soap as you are making it, including essential oils, botanical pieces like lavender buds, ground nut shells, and even raw silk. It’s very fun to experiment once you get the basic recipe down. This recipe was usually made during the winter months because it had to be stirred until cold. 2 pounds fat. You can choose between: tallow, lard, or palm oil. Lard was used most commonly in the Foothills, and you can render your own with pork or beef fat. Filtered Water. Water from a spring is even better. Ashes. Hardwoods make the best ashes for soap. Boil the water and ash together for 30 minutes or so. Let the ashes settle at the bottom and skim the lye off the top. Then you boil that liquid until an egg will float on top. Heat your animal fat until you have liquid grease, then pour it in your bubbly lye mixture. You can add a little Red Devil Lye if you like a hard soap. Stir, stir, stir, stir until the soap is cold, and so are you. You can now pour it into molds (wooden boxes are used for this) where the soap will harden.